What’s needed to add security to DevOps are tools that work well with rapid-cycle CI/CD pipelines and an approach that reinforces the DevOps culture and process changes. This requires that security specialists become self-service toolsmiths and advisors and stop thinking of themselves as gatekeepers. This webinar includes guidance on the characteristics of security tools compatible with DevOps, but it focuses primarily on the harder part: the people. 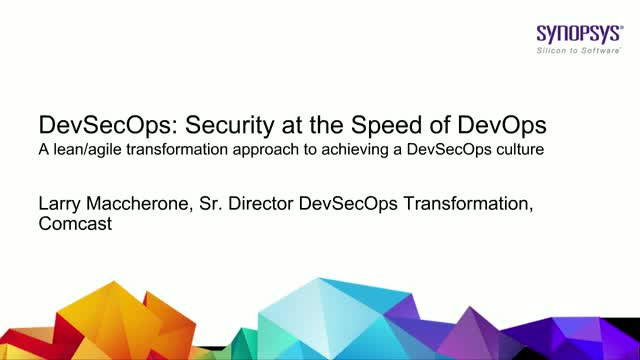 This talk introduces the DevSecOps manifesto and provides you with a process model, based on agile transformation techniques, to accomplish the necessary mindset shift and achieve an effective DevSecOps culture transformation. It has been successfully used in a large DevSecOps transformation at Comcast and has gained recognition in DevSecOps circles as a leading framework.